Chip manufacturer Qualcomm has revealed details of its next-generation smartphone and tablet S4 Snapdragon processors, codenamed Krait. 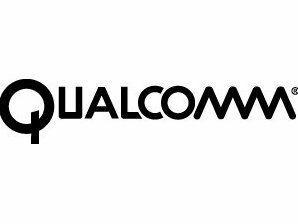 The mobile processors will be the first based on 28nm technology, according to Qualcomm. This will reduce the power consumption and physical size of the chips, which will hopefully result in thinner phones with longer battery lives. You can forget about Apple's dual antenna-approach to roaming, too - S4 will function on every spectrum frequency in the world up to 4G LTE, and also offers Wi-Fi and Bluetooth 4.0 connectivity. The ARM-based processors will be multi-core, supporting 1.5GHz to 2.5GHz per core, complete with a brand new micro-architecture which Qualcomm reckons will increase performance by over 60% compared to current Snapdragon processors. Graphics performance is also improved, with the Adreno GPU providing increased shader flexibility and texture engines, which add up to a 50% boost over the previous generation. Interestingly, the GPU will also support DirectX 9.3 for Windows 8, meaning it could find its home in Windows 8-powered tablets capable of some fairly hefty gaming. It's also estimated to rival last-generation consoles, which could see Sony Ericsson raiding the PlayStation 2's back catalogue for the next Xperia Play phone. We'll see the chip in action next year.